This weekend: Wing it at the coast, race in Mayberry, hike atop North Carolina - GetGoing NC! 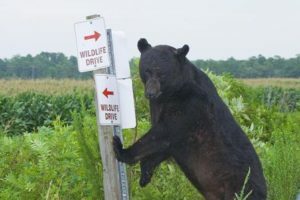 Photo of bear probably irritated by confusing road signs by Jackie Orsulak. The weekend gets off to and early start (today) with the six-day Wings Over Water at the coast. If you’ve ever thought about doing just about any kind of exploring at the coast — from birdwatching to paddling a swamp to howling with (or for) wolves, here’s your chance. The 15-year-old Wings Over Water, a six-day celebration of any thing and any place wild in eastern North Carolina, gets underway today. More than 85 programs explore the wildlife and natural history of the coast. Some by foot, some by boat, some with binos. Truly, just about any natural adventure you’d like to have. See for yourself at the Wings Over Water website. Those pickles were something to run from. Funny, but I don’t recall Andy and Opie lacing up the Asics for a run around the hood. I reckon that was before the running boom hit Mayberry, or perhaps I just missed that episode. But there’s still time to catch — and register for — Saturday’s Mayberry 10K & Half Marathon in Mount Air— er, Mayberry. Some of both routes is on greenway, some passes through “Historic Downtown Mayberry” (which greatly resembles historic downtown Mount Airy). $30 for the 10K, $40 for the 13.1-miler. Races start at 8 a.m., registration at 6:30 a.m.
Here’s hoping they have Aunt Bee’s Nesslerode pie at the finish. Here’s also hoping they don’t have her kerosene cucumbers. More race info here. On a clear day you can see a really long way on the Ivestor Gap Trail. I’m a sucker for certain hikes in North Carolina and the Ivestor Gap Trail into the Shining Rock Wilderness is one of them. 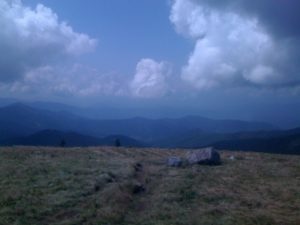 Most of it is above treeline (a “treeline” created by a pair of devastating fires nearly a century ago), it’s above 5,000 feet (and flirts with 6,000 feet) and is scenic high country hiking at its best in North Carolina. That’s probably why the Sierra Club of Western North Carolina has selected it for its Saturday hike. 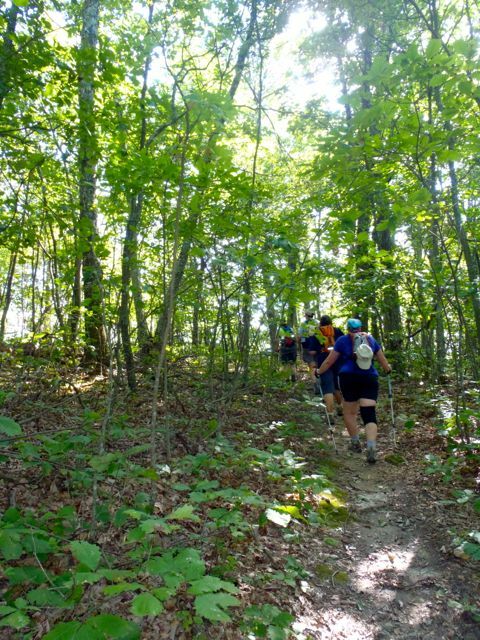 The hike begins at the Black Balsam parking lot off the Blue Ridge Parkway and takes Ivestor Gap Trail to Shining Rock, where there’s good cavorting and scrambling to be done on the exposed white quartzite that gives the peak its name. 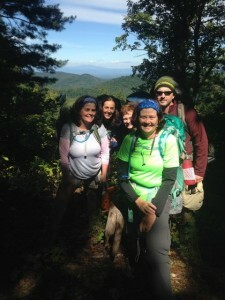 Total hike distance is 8.6 miles. 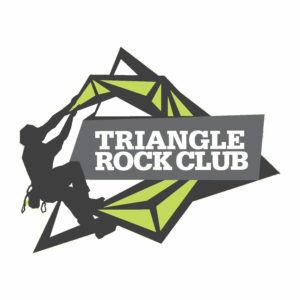 The Sierra Club will meet in Asheville at 10 a.m. and carpool to the trailhead. 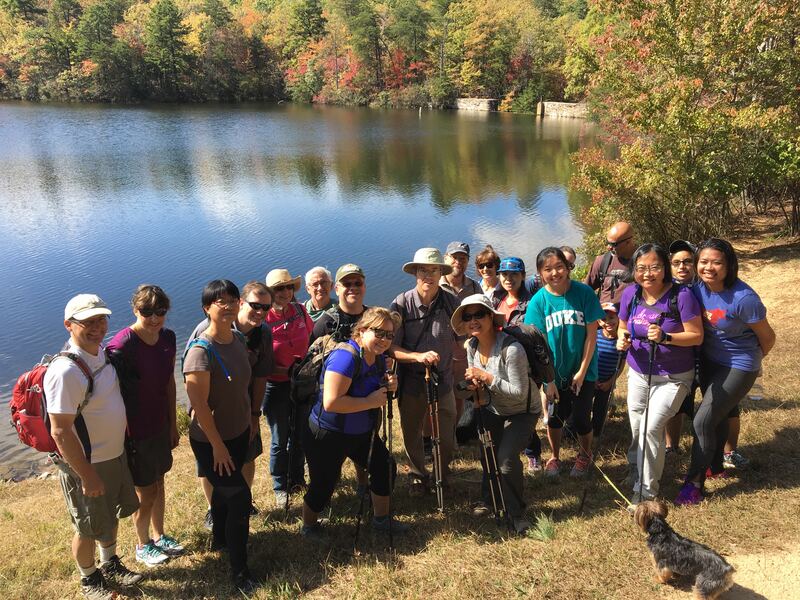 For more information and to sign up (because it enters a Wilderness Area, group size is limited to 10 people), get in touch with hike leader Lisa at lisamcw2@gmail.com or 828.713.4994.